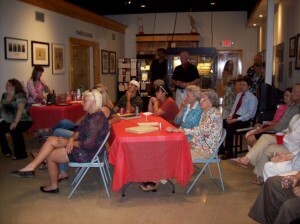 The LBJ Museum of San Marcos held its first ever “60s Night at the Museum” event on Friday evening. 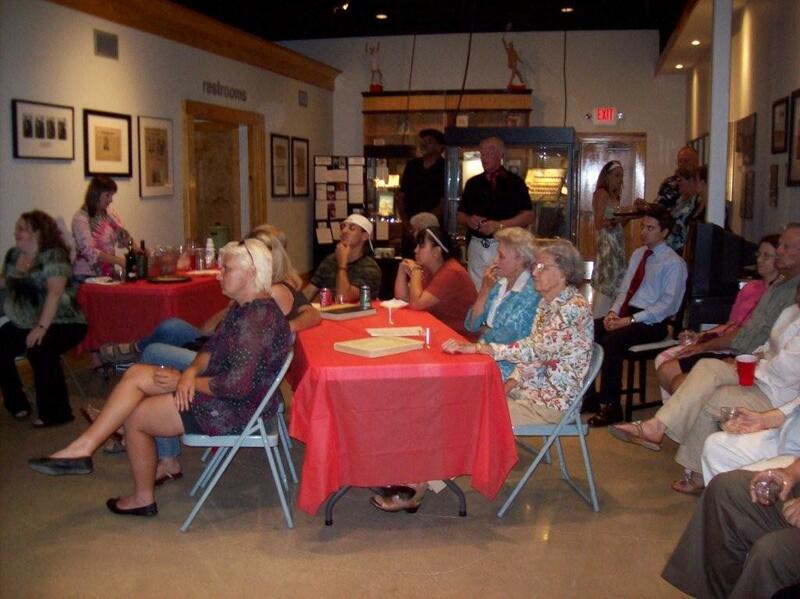 We had a healthy turnout and favorable compliments from our diverse audience of Texas State University alumni, business and community leaders, university students, and local residents who either remember the Sixties or wanted to learn more about them. The program opened with our silent auction and a cultural and historical discussion lead by Texas State Political Science professor Dr. Ed Mihalkanin. Our trivia contest generated some audience participation and lively discussions about life forty years ago. Cheryl Murdock performed an acoustic version of Janis Joplin’s Bobby McGee. Andrew Hobby was also here to tell the story about his mother’s bicycle from the 1960s, which is on loan to the museum and displayed with our new temporary exhibit simply titled, The Sixties. All proceeds earned from “60s Night” will benefit the museum and be counted towards matching a $25,000 grant from the Texas Pioneer Foundation. 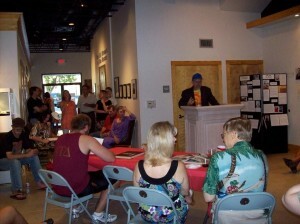 We appreciate all the folks who supported us and helped out with the event.